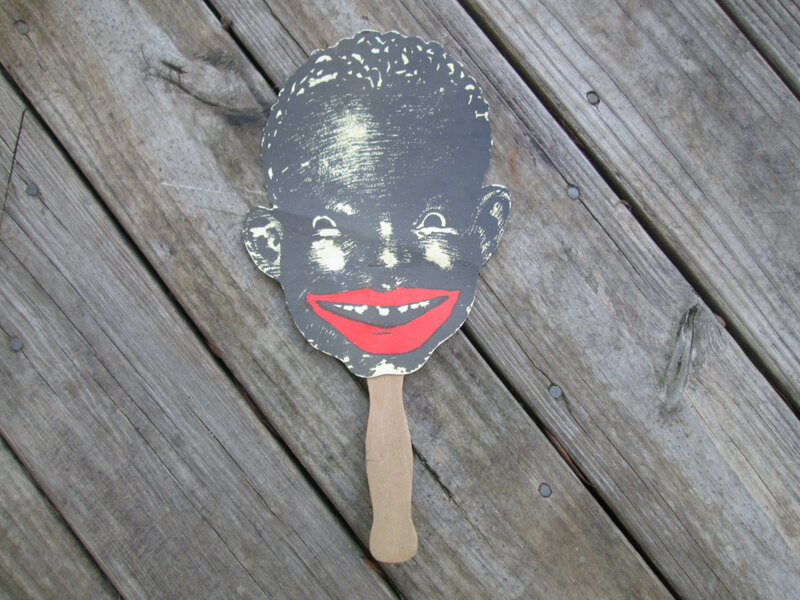 Vintage Pickaninny Menu Fan Black AmericanaWelcome to Carol's True Vintage and Antiques Shop! 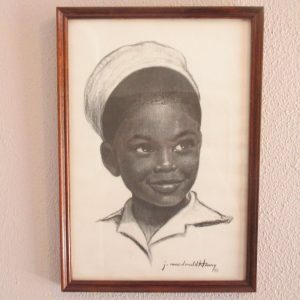 Tags: 1930's menu, american menu, americana, americana fan, black americana, black collectible, black red, chicago menu, chicago restuarant, collectible menu, Piccaninny, vintage chicago menu, vintage menu. 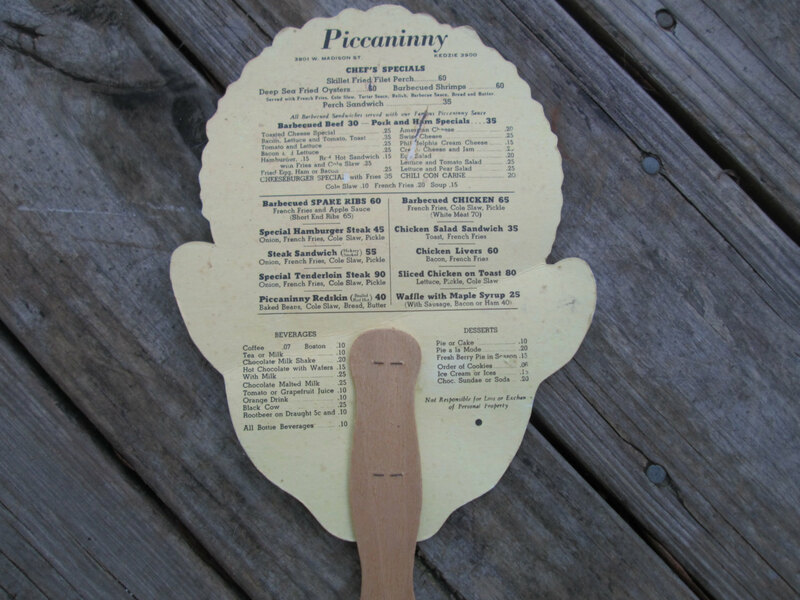 This is a really neat Pickaninny Restaurant menu and fan. 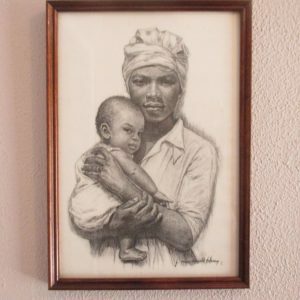 It is in very nice condition and the prices are on the back of the little boy’s face. 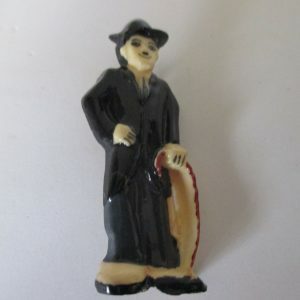 It has really neat prices. 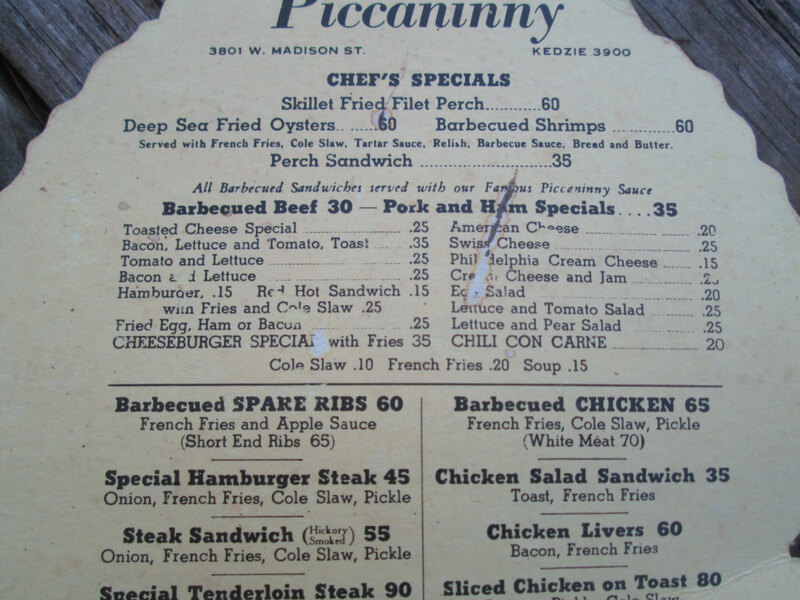 The deep sea fried oysters are only 60 cents. 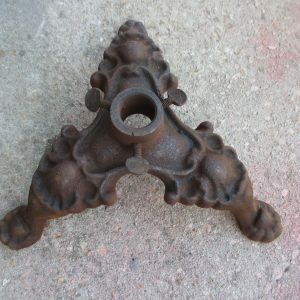 It is 9 1/4″ tall and 7 1/4″ across. 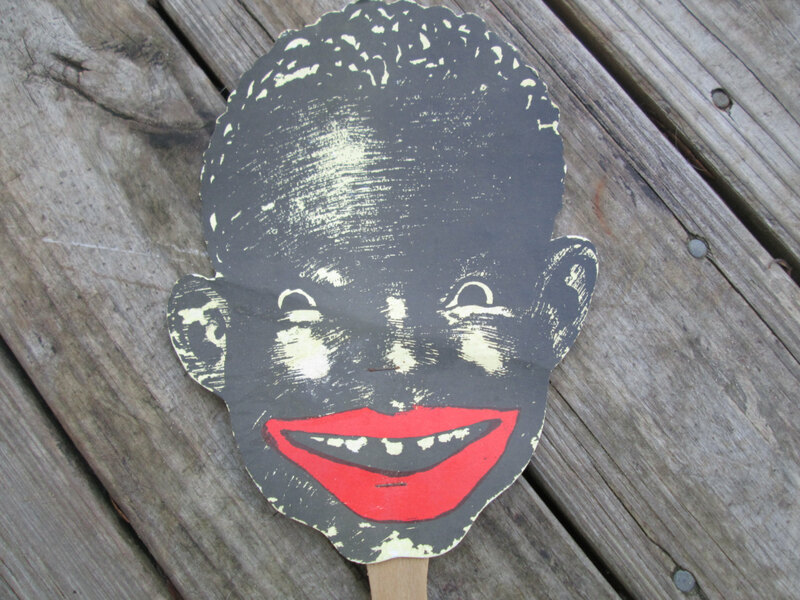 It is 14″ tall with the small wooden paddle handle.